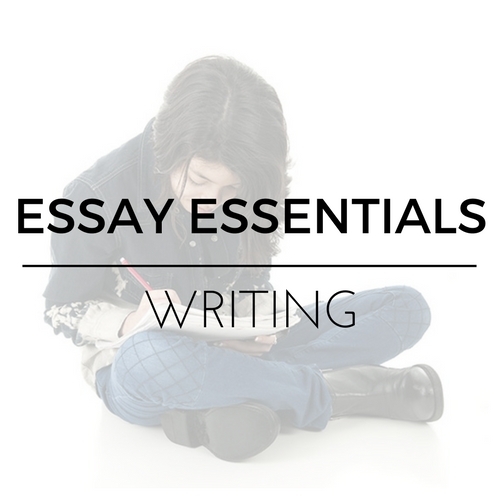 Essay Essentials is a semester-long class for students ready to explore the essay in some of its many forms, including formal, academic forms. 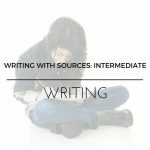 Using mentor texts (essays by the pros) as models and direct instruction on writing techniques, students will learn to craft essays with a variety of purposes. They’ll learn to describe with a purpose, inform and explain, evaluate, analyze and interpret, and argue and persuade — all tasks needed for writing in academic and professional settings. 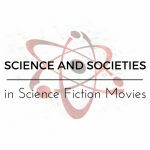 Categories: Fall 2019, Writing, Teen Focus, Fall 2017, Fall 2018. Teacher support is central to success, so students will receive extensive teacher feedback on two drafts each of three essays, with additional feedback on thesis statements and outlines for at least one of those essays. Every step is supported: planning, thesis creation, organization, first draft creation, and revision. Additionally, emails from students are always welcome and will be answered promptly, with a focus on giving specific feedback that helps a writer grow throughout the class. This class prepares students for academic writing in future coursework including the Writing Supplements that accompany some Teen Focus film, history, and literature courses as well as the higher-level writing classes, Writing With Sources and Art of the Essay. Prerequisites: Students should have a working knowledge of English grammar and be comfortable writing standard English, including proper punctuation, usage, and spelling. Concurrent enrollment in a G3 Grammar/Vocabulary class is encouraged. Prior participation in G3 discussion forums is strongly recommended, as those forums increase comfort in and skill with sharing ideas in writing. Students who have taken the eight-week Introduction to the Essay will find plenty of challenge and learning experiences in this in-depth course and are welcome to enroll. This is a high school writing class intended for teens 12 and up to learn the basics of academic essay writing. Students should have a working knowledge of English grammar and be comfortable writing standard English, including proper punctuation, usage, and spelling. Concurrent enrollment in a G3 Grammar/Vocabulary class is encouraged. Prior completion of Paragraph Town or frequent participation in G3 discussion forums is strongly recommended, as those forums increase comfort in and skill with sharing ideas in writing. Students who have taken the eight-week Introduction to the Essay or 6-week Paragraph Town will find plenty of challenge and learning experiences in this in-depth course and are welcome to enroll.